Description: Come and join us for a wee halooween party, there will be dressing up, dookin for apples, pumpkins and we’ll be looking practicing our gaelic for body parts making some monsters. Description: Team GCCC invite you to a family friendly kids Halloween party! We’ll have facepainting, a junior costume competition, and entertainment from Aberdeen’s own Lord’s of the Sith – Darth Elvis & the Imperials. Running from 3.30pm – 5.30pm this ideal if parents are looking for a wee party straight after school. Description: Come and see the sky above Mar Lodge lit up by fireworks! Enter the Best Guy competition – the winning guy will be placed on top of the Bonfire to be ignited by a piped torch lit procession. Food and refreshments will be for sale. Free event but donations welcome. Description: Kintore and Disctrict Community Council are again organising the Kintore Fireworks display. This year’s event will take place in the playing fields of Kintore Primary School on Friday, November 3, starting at 6.30pm. As well as a spectacular fireworks display there will be other attractions and, to keep everyone warm and satisfied, there will be food and refreshments available on the night. Please bring some money for burgers, coffees, drinks and donations. Description: Walks open: 6.30-7.30pm & 8-9pm. Fireworks: 7.45pm. This year’s event celebrates the work of the great Scottish teller of tales, Robert Louis Stevenson, who is best known for Treasure Island, Kidnapped and The Strange Case of Dr Jekyll and Mr Hyde. Now in its ninth year the Shell Fireworks Parade brings together and engages hundreds of participants from across Aberdeenshire, giving young people real and transferable skills and experiences as they create routines, props and performances for the big event. Entry: Adults £3 – Children £2. Please bring exact change. Wristbands are on sale at Peterhead Community Centre, the Modo Office (above Errol’s Kebabs) in Erroll Street, Macbi in Mintlaw, The Gift Shop at Aden Country Park, Buchan Development Partnership in Maud. Bring torches, wellies, fancy dress and a sense of adventure. Leave plenty of time for parking. Not recommended for under 5s. No alcohol. No dogs. Aden-een the Shell Fireworks Parade is suppporteed and funded by: Shell, Creative Scotland, Cashback for Communities, Your Voice Your Choice, the Roundhouse and Aberdeenshire Council. Description: Since 2013 Ministry of Crafts has been revitalising the craft scene in Aberdeen. Our monthly indoor arts & crafts market has over 20 stalls. Discover unique design led handmade products sold directly by the makers. It is a friendly and relaxed market and showcases an eclectic mix of artists and makers from the local area and with new makers and crafters every month, there will always be something new to see. Description: Halloween disco for familes. Fancy dress, games and dancing. Time: Gates open at 5.30pm, Fireworks at 7pm. Description: The annual community celebration, organised by Inverurie and District Round table. Bonfire and fireworks, soup, hotdogs warm drinks and bar at the Community Centre afterwards. Please park in the village and walk down – bring a torch! Description: Banchory’s annual Bonfire and Fireworks extravaganza. Make sure you get there early to maximize the experience! No attendance fee, however we would ask you to consider a donation. All money raised is re distributed to local charities and organizations so please come along and support your local community. Organized and hosted by Banchory & District Roundtable, a group of volunteers. If you would like to get involved send us a message, we are always looking for more help! Description: Field opposite Premnay Village Hall. We will have food and refreshments available too. This is not a ticketed event but donations are very much appreciated. This event is organised by volunteers & entirely funded by donations. You donation will help ensure next years event goes ahead. Please make sure you are dressed appropriately for the weather and have good shoes on since it is in a field. We also ask that no personal fireworks or sparklers are taken to the event. Please be sensible when parking & only park on one side of the road. Please ensure other vehicles & pedestrians can get by. Description: St Combs Bonfire And Fireworks Display is back again down at the pump house car park! As always refreshments will be available to buy along with some light up goodies too! Our Bonfire will be lit at 6.30 and our Fireworks at 7. For insurance purposes please DON’T bring or light your own fireworks, we’ve increased the size of the display again this year and were sure you won’t be disappointed! Our event is subject to weather conditions so please keep an eye on this event or our Facebook page should any changes need to be made. We look forward to seeing you at what is becoming a very popular village event. Description: United SK8S are looking forward to Rolling into the great location that is The Beach Leisure Centre, Aberdeen. Our Family Roller Disco guarantees a giggle and smiles all round, grab family and friends and learn something new together,or relive your youth and get fit while doing so! What more can you ask for. Skates for hire and fab music to SK8 to. So Aberdeen, Lets Roll! Description: In field off Victoria Road at Station Road junction. Description: Yes it’s that time of year again, the fireworks are back, baby! Come along and join us onthe 5th, payment on the door as usual, £3 adults, £1 kids. 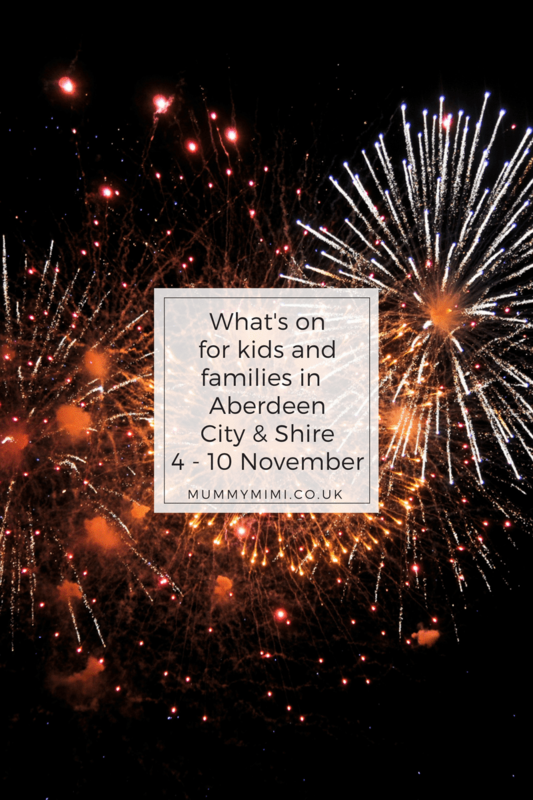 Description: Aberdeen City Council presents FIREWORKS at the Beach Boulevard on Sunday 5 November. Hosted by Northsound 1’s Jeff and Lauren in the Morning. The action starts at 6.30pm with fire walkers and fire jugglers, before the main fireworks event at 7.30pm. Free to attend, the evening is sure to be fun for all the family! Park & Ride buses are available from Bridge of Don, Kingswells and Altens (Aberdeen Altens Hotel). Bus times are available on our website. Description: ENTRY BY DONATION! BBQ, glow sticks, tuck stall from 6.30pm, FIREWORKS GO OFF FROM 7.30PM! Description: Alford Scouts are again organising the Bonfire and Firework display at Grampian Transport Museum, Alford, Aberdeenshire. Gates will open at 6.30pm with the Bonfire being lit at 7pm. Light Sticks and Refreshments will be on sale during the event. Description: Come along and have a Roarsome time at our BRAND NEW Messy Party-it’s Dinosaur Detectives! Stomp with the oldest party animals on the planet and discover a messy land before time. Join the Dino trail where you’ll find a herd of Messy activities including Jellysaurus, Spaghettiraptor and Fossil Hunting. Or become a detective and hunt for dinosaurs amongst the Swamps, deserts and Volcanoes. All you need to do is come along g, mess Around and leave the cleaning up to us. Remember to show us your messy claws! Description: Exclusively Highlands hosts it’s stunning annual Christmas Fair at Crathes. Throughout the Castle and Horsemill over 60 exhibitors will be displaying their wares. A sumptuous range of patisseries, gluten free cakes, scones, homemade breads, cheeses, charcuterie, marshmallows, chocolates, preserves, seafood, teas, coffee and wonderfully unique collections of Jewellery, Art, Stoneware, Clothing, Tweed accessories, Photography, Candles & Diffusers together with fabulous skincare products – all lovingly handmade in Scotland.